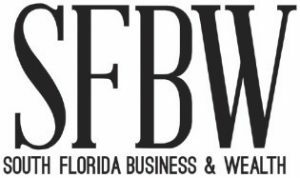 If you want to know what’s up with the economy, circle your calendar for Feb. 1, says economist Mark Vitner of Wells Fargo. Unfortunately, the ISM survey for December was down 5.2 percentage points to a reading of 54 went when it was released at the beginning of January. 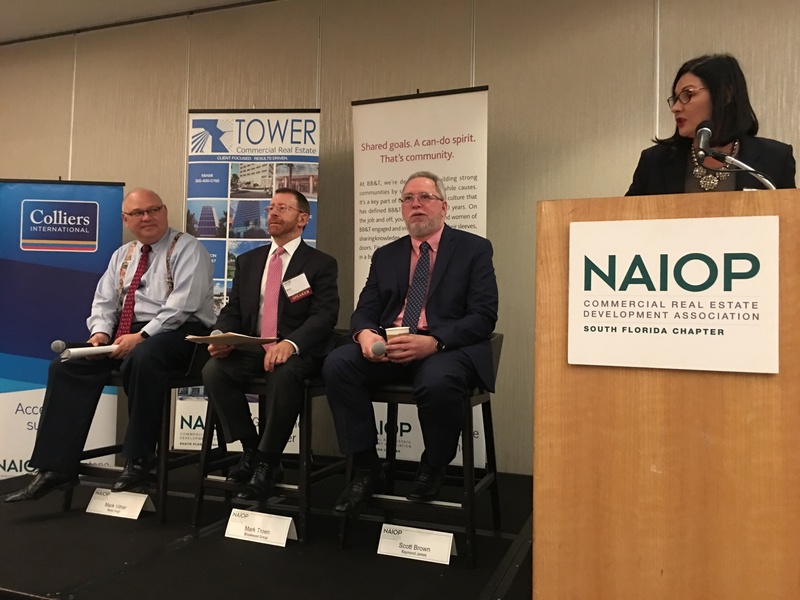 The indicator is important because manufacturing and logistics account for two-thirds of the swing in a changing GDP, Vitner said during the 2019 NAIOP Economic Outlook at the Westin Fort Lauderdale in Cypress Creek. If the reading falls below 50 that could set off alarm bells at the Fed and cause an inverted yield curve, where longer-term debt has lower interest rates that shorter term debt of the same quality. An inverted yield curve indicates the bond market views rates as out of wack and anticipates a drop in short-term rates. An inverted yield curve and a bad ISM report could prompt the Fed to actually reduce rates, Vitner says. Vitner, who is managing director and senior economist for Wells Fargo Securities and Wells Fargo Co., was accompanied on the panel by Scott J. Brown, senior vice president and senior VP at Raymond James, and Mark Troen, senior vice president at Brookwood Group, which offers development and investment advisory services. 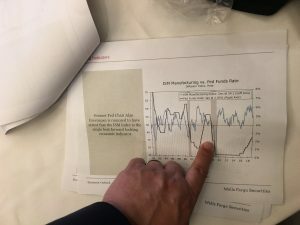 Troen sees possible danger in 2020 as well. The economic boom cycle is in record setting territory for its length. In real estate, there’s already a shift toward value added deals rather than lengthy development deals, he says. Troen isn’t sure what the recession trigger might be, but said the government shutdown, trade dispute, flagging consumer confidence and a slowdown in home sales could have a cumulative impact. Brown said the odds of a recession don’t depend on the length of the economic cycle, but are predicated by imbalances such as over investment. “One of the questions is, ‘Can we talk ourselves into a recession? '” he said. The most recent University of Michigan measure of consumer sentiment was down 7.7 percent to a reading of 90.7 in January. However, consumers don’t spend sentiment, they spend income, he noted. Tax refunds and lower gas prices may help with spending. Businesses have also been relatively disciplined during the boom when it comes to capital spending and new hires, so that doesn’t seem to be an imbalance. Vitner expects 2 percent growth in 2020 without a recession. He also said an economic imbalance typically leads to a rush for the exit and a recession, but he doesn’t see one right now. The financial markets aren’t expecting much of a trade agreement with China, but Vitner think the Chinese have already offered more than the market is expecting. An agreement to reopen the government would be market friendly as well.